Download Free Facebook Chat Instant Messenger(IM) Client for your Windows 7/Vista/XP Desktop PC’s, Laptops or Notebooks. Well the Facebook has officially launched their new simple application tool on the desktop which it will help the users to allow check all their events and notifications that was which received on the Facebook account without opening the browser or the explorer and you need not have to navigate to the website where you see your feeds and notificationsdirectly to the desktop. And the notifications which were you received on the Facebook such as the 3rd party application notifications should to be get configured by yourself on the Facebook. The security issues also be concerned where as the features like the security thread however that Facebook desktop directly do redirects the users to the respective requesting page for the permission which therefore that it shows that the client software never uses or capture the users password and the username. 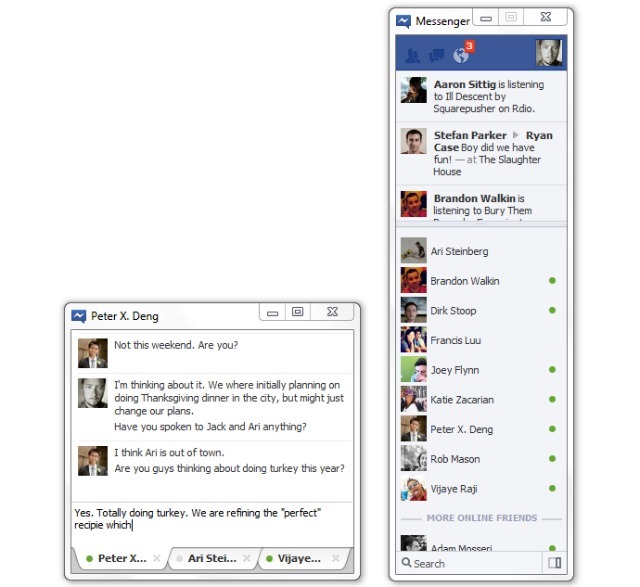 Facebook desktop is much intended resembled to the same as the IM client interface and does shows a display picture of the last events and this is can be poor for the some of the users which might to like their windows live messenger. 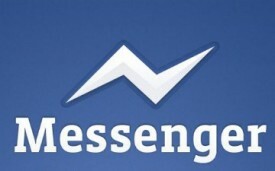 As it is now a just a 1.0 version so the Facebook will might do make some upgrade to its messenger. if you really a Facebook user who like the facebook.com and want to be get connected without signing in and opening browser this application is much helpful and ,this client messenger software would help to save your time logging time process and you don't need to log into your account each and every time to check your status, notifications and friends request. And over it this software does have the advantages and rather its disadvantages too well this advantages were it is never had been compromised at the security issues and hence you don’t does provide any passwords and the usernames , and the disadvantages were this software is having a limitation to the limited notifications and sometimes this software becomes little buggy while your internet is slowed down. If you were a true Facebook lover and just love to hang on to the site and you want to be get handy without logging in the Facebook account to check the status notification and then you should fairly try to this app where you like to be every time get notified and connected directly to your desktop.